From the forested slopes of Lemosho you ascend through Podocarpus and Juniper forest and break out of the forest on to the heath zone and the Shira Plateau. Lunch is taken on trail and you arrive in camp mid afternoon. Overnight Shira 1 Camp (full board). After a relatively long hike and significant altitude gain, today is a short day and you arrive in Moir camp in time for lunch. Good days for acclimatisation with the option of an afternoon walk with your guides. Overnight Moir Camp (full board). 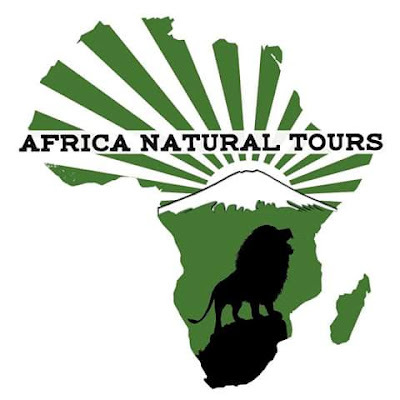 The route today diverges from the traditional western routes and head north and then east around the Kibo Massif. Here, for the time being at least, there are relatively few other groups. You hike through the alpine desert skirting the edge of the heath zone to Pofu camp. Most groups arrive for lunch and then take an afternoon acclimatization hike. Overnight Pofu camp (full board). From Pofu you hike a ridge and continue around the Kibo massif to Cave 3 skirting the edge of the heath zone. Once at Cave 3 there is time to rest and a short acclimatization walk in the late afternoon. Rising early normally before midnight you start out from School hut towards the peak. At night time the scree sections are normally much firmer and the night time start enables the best chance of a clear summits attempt. It takes around 6 hours to reach Gilman’s point and then a further 1 and 1/2 to 2 hours to reach Uhuru Peak, the highest free standing point in the world and the highest point in Africa. After you have taken in all the impressions of the summit it is time to begin the descent. From Uhuru Peak the trail goes in an easterly direction on the ridge past the Kersten, Decken and Rebmann Glaciers just before Stella point (5740m) here the descent route drops down steeply between the Rebmann Glacier and the remains of the Ratzel Glacier on slippery, dusty scree sections and later on rocky stone slabs. After about 3 hours of descending you will finally reach Barafu camp for Lunch. 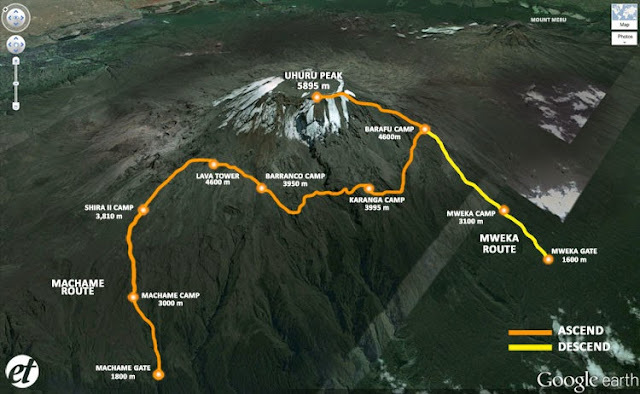 The remaining 10km takes you down to Mweka camp 3080M. The late afternoon passes quietly and servers to regenerate the body and soul. The final descent takes you back through the moorland and rainforest approximately 3-4 hours. Here you are met by drivers and transferred back to your hotel for a well deserved shower and celebratory dinner. Rest in the hotel and transfer to the airport. Note: Hotel check-out is at 10:00 AM. In case you need a late check-out because of an evening flight, there is the option to extend your hotel stay for an extra fee.